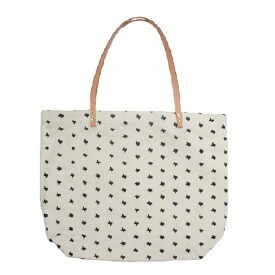 What better way to pack up and hit the road than with this tote? 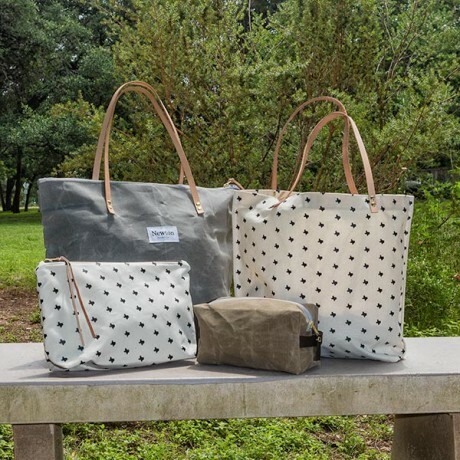 Newton Supply Co. focuses on high quality, locally sourced and durable materials. 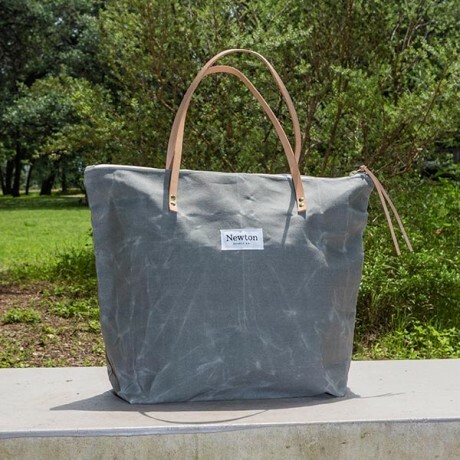 The light grey canvas used is hand-waxed in Houston with local filtered beeswax, and the handsewn here in Austin. 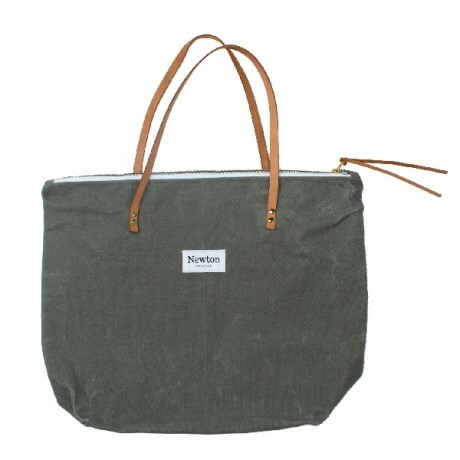 This bag are great for travel or everyday use! 19" w x 14.5" t x 6" d with 9" handle drop.